on her visit to India. 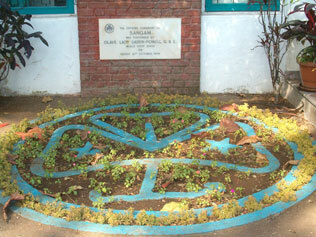 World Association of Girl Guides and Girl Scouts logo in flower gardens at the entrance to Sangam World Center. 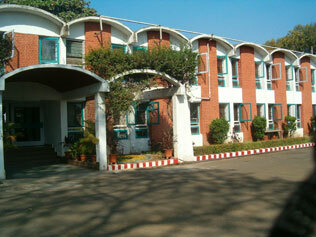 The center is WAGGGS’ newest, opening in 1966. 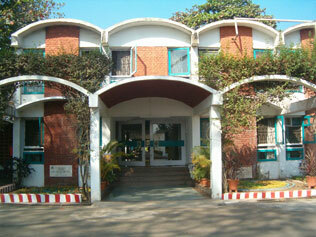 Main entrance to Sangam World Center. The three arches over the entrance symbolize the three parts of the Girl Scout or Girl Guide promise in most countries. Construction of a new exterior wall in front of Sangam. The wall was being moved to accommodate a road expansion project. Between the new and old walls the top of a Buddha statue can be seen. The statue was a gift to Sangam when it opened. 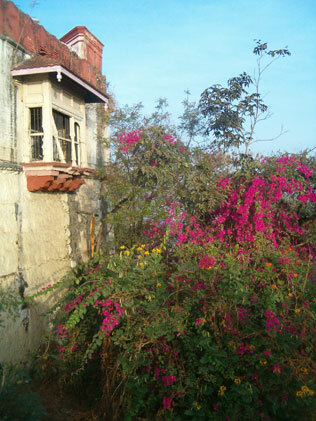 IT has been a significant part of the Sangam culture ever since. It is said to be watching over the world center and its visitors from all over the world. Skyline photo looking out over the city of Pune. 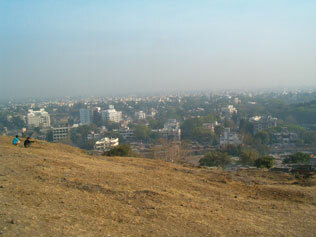 The photo was taken from the mountain of Chaturshringi Temple, the highest point in Pune. 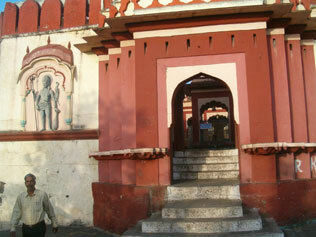 The entrance to the main Chaturshringi Temple in Pune, India. 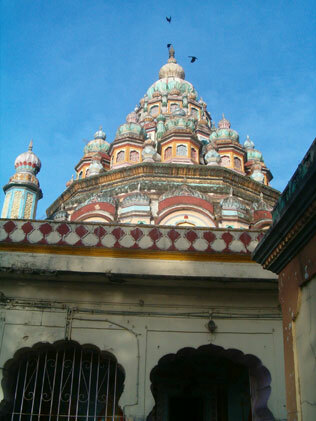 The Hindu temple was built for the goddess Chaturshringi. Within the temple grounds there are three smaller temples dedicated to the goddess Durga in various forms. 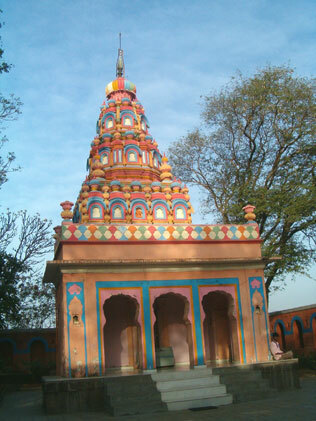 One of the three smaller temples at Chaturshringi Temple. Chaturshringi means “mountain with four peaks.” Each of the temples at Chaturshringi are spread over four small hillocks. Exterior of temple buildings at Chaturshringi Temple. Also pictured, wild flowers growing on the hillside up to the temple walls. 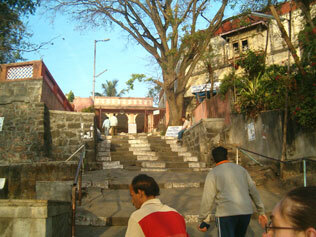 Final 15 stairs of the over 100 leading up to Chaturshringi Temple. The temple fortress is 90 feet high and 125 feet wide. Large stairs were built up to the temples so kings could ride elephants up for worship.